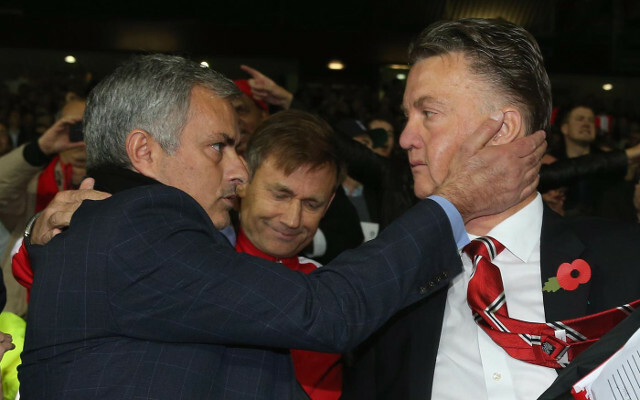 Chelsea manager Jose Mourinho has laid down the tactical blueprint needed to defeat a Louis van Gaal side after his team overcame Manchester United at Stamford Bridge on Saturday, the Portuguese coach told BBC Sport. The league leaders stretch the gap at the top to 10 points with Manchester United failing in their attempts to make the title race a little more interesting following Chelsea’s resolute defensive performance. Despite Man United dominating possession, Mourinho’s side never looked threatened and as many expected, a plan to thwart Marouane’s Fellaini was also precisely executed. “It was difficult, but less than you think,” Mourinho said. “Control their direct football to Marouane Fellaini and control the wingers from making crosses on the inside foot. “When we know Wayne Rooney plays in midfield, we control his progression into the box. Control set-pieces and don’t give away direct free-kicks as they have three specialists. Mourinho isn’t one to play down his influence on a result, but the fact of the matter is that he essentially put 10 men behind the ball and added extra height to his side. Those who revel in his ‘tactical genius’ must ask themselves; why didn’t he use it against Paris Saint Germain?